In order to trap, cool, and transport the atoms, a large quantity of optics are required. 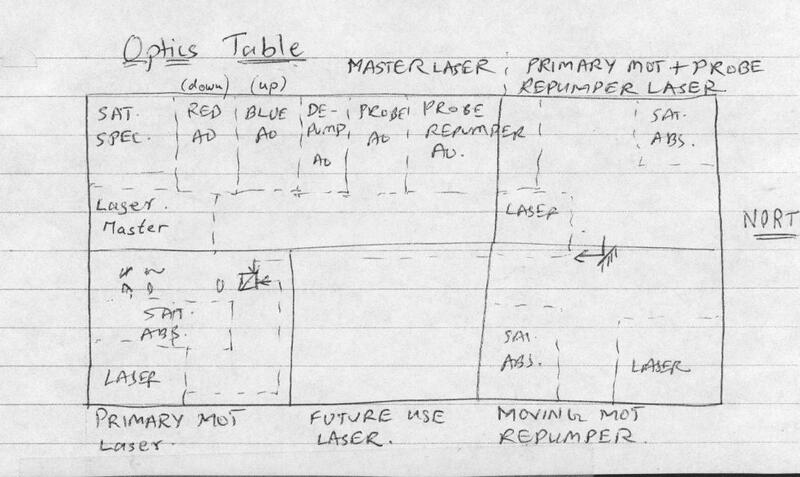 As you can seen in the below diagram and picture, the optics table appears quite complicated. 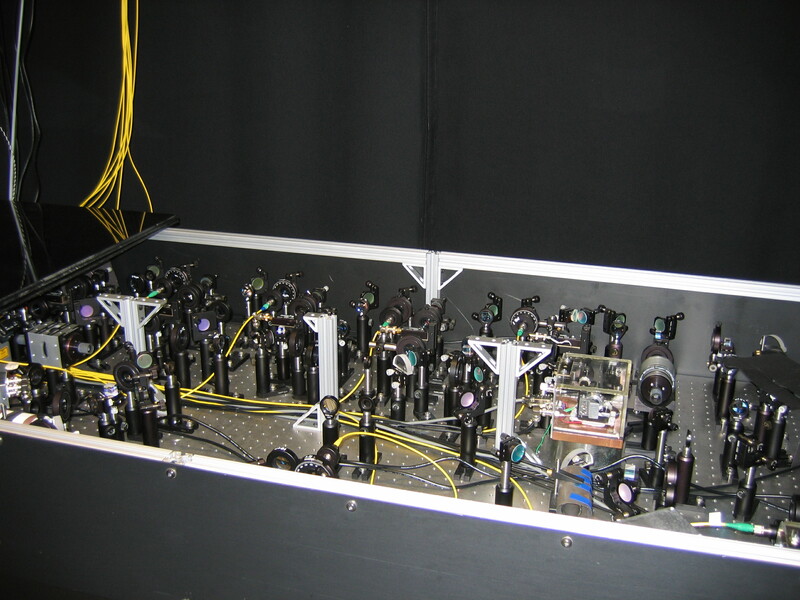 Each laser has a different task; many of the laser beam paths are split for use in multiple aspects of the experiment. As you continue the journey into the waveguide, you will encounter a better description of the jobs that several of the lasers perform.